Pastor John does a beautiful song on this Elvis favorite, I CAN'T HELP FALLING IN LOVE. 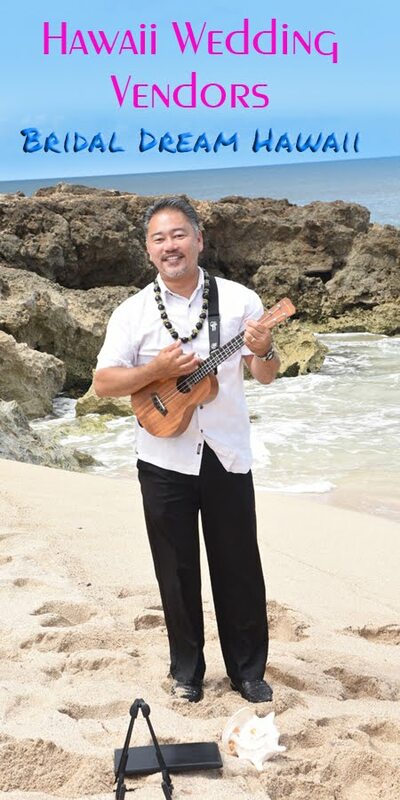 We heartily recommend adding lovely wedding music to your experience in Hawaii. Wind noise was strong that day beating against the NIKON camera microphone, but the amateur video lady was able to get some footage of John's beautiful music. Click the "WEDDING VIDEO" link in the right column (website version) to see samples of our pro wedding videos.